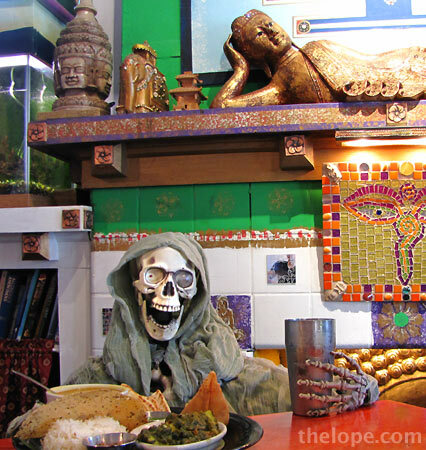 One thing I'll say for the traveling corpses of October, they do tend to abide by Ace's rule of "eat no mediocre meals." That seems to apply to drink, too. 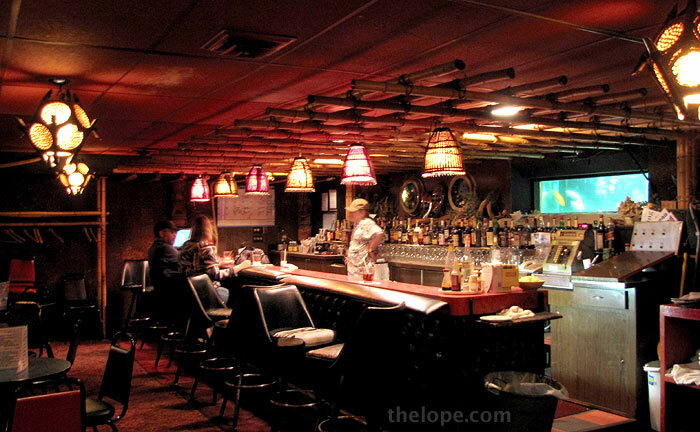 Here, our dear departed sips a zombie at the Mai Tai Lounge in Omaha while regarding a vintage black velvet. I guess he's remembering pleasures of the flesh. He's got a Trader Vic's mug from Atlanta, by the way. 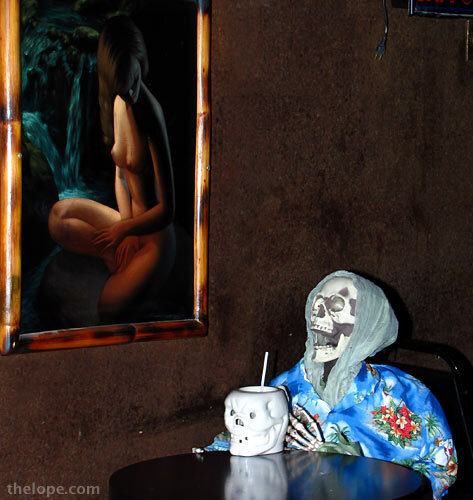 The Mai Tai lounge no longer has their own tiki mugs and I thought a corpse needed a skull mug. When in Dallas, he prefers to eat healthy, which seems to lack a point in his case. This is the Cosmic Café, a cool vegetarian place. All things must come to an end, especially dead ones. 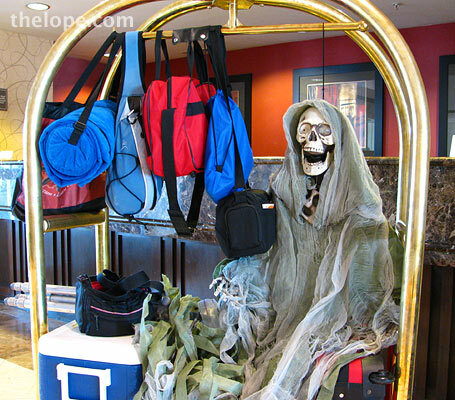 Halloween is almost over and it'll be time for corpses to pack bags and move on. See you next October for more corpsiness.